Sung in Raag Bilawal; Taals Keharwa,Teen Taal. Within my heart, I meditate on the Lotus Feet of God. My problems are gone and I have found total peace. The Guru has blessed me by relieving me of my sufferings. My birth and life has been rendered fruitful. The inexpressible praise of Waheguru is like Ambrosial Nectar. Says Nanak, the spiritually wise persons live by meditating on Waheguru. अपने हिरदय मे प्रभु के चरणों का ध्यान करने से दुखों का नाश होता है और सभी सुखों की प्राप्ती होती है. गुरु ने मेरे ऊपर किरपा कर मेरे दुखों का निवारण कीया है और मेरा यह जीवन सफल हो गया है. प्रभु के अकथनीय गुण अमृत सरोवर सामान. नानक कहते हैं, ज्ञानवान जीव प्रभु के गुणों का जाप कर जीवन व्यतीत करते हैं. 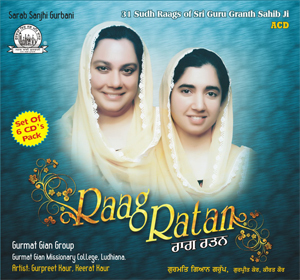 ~ ‘Raag Ratan’ ~ (6 CDs) is a Compilation of Shabads in All the 31 Sudh Raags of Sri Guru Granth Sahib Ji. 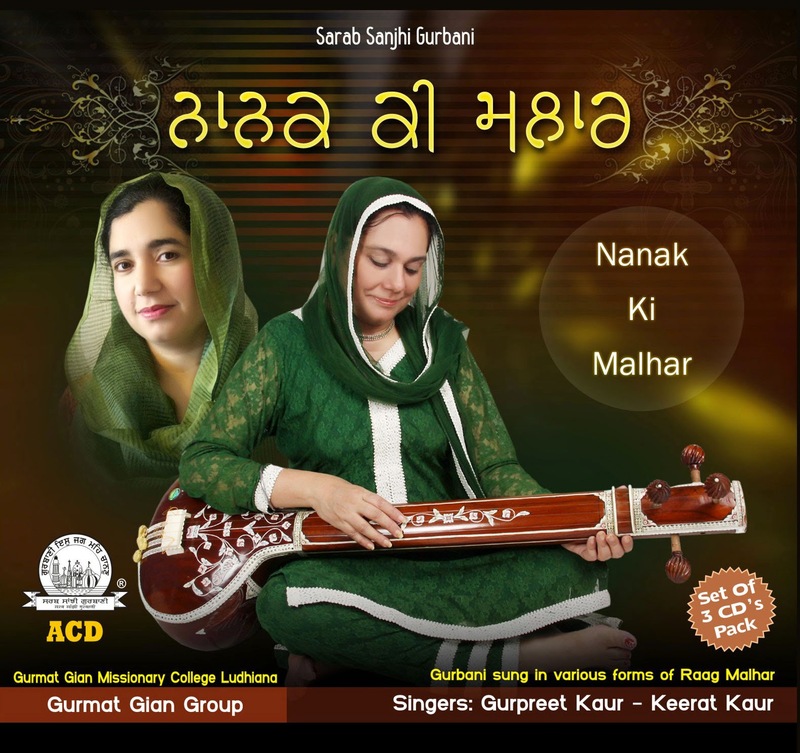 Gurpreet Kaur’s journey in this world Gurpreet Kaur was a Musician. She was a singer and a composer of music. Her interest was composing and singing Gurbani Shabads in Indian Classical style. She sang Shabads in All the Raags mentioned in Sri Guru Granth Sahib Ji. She also taught Gurmat Sangeet at Gurmat Gian Missionary College, Jawadi, Ludhiana. Elder child to Pushpinder Kaur and Dr. Brig. Harminder Singh, was born in Amritsar on 13th Jan 1962. She attended various convent schools as a child because her father would get frequent Army postings as a dental surgeon. She graduated with Music Honors from Govt. College for Women, Chandigarh. 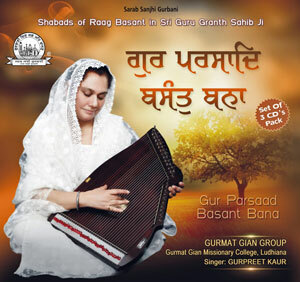 Music was her hobby and she composed and sang Raag based Gurbani Shabads. Doing Kirtan was part of growing up nurtured by her parents. She learned music from her father Dr. Brigadier Harminder Singh who was a dental surgeon in Indian Army and a very good singer himself. Gurpreet’s Bhua (father’s sister), Ajit Kaur retied as a Head of Department of Music from Govt. College for Women Ludhiana, and was a renounced Punjabi singer of her time. 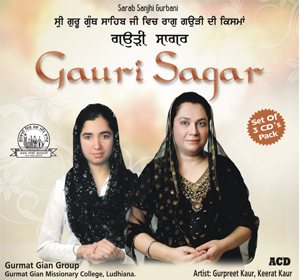 Gurpreet Kaur also learned nuances of Indian Classical Music from Pandita Sharma.